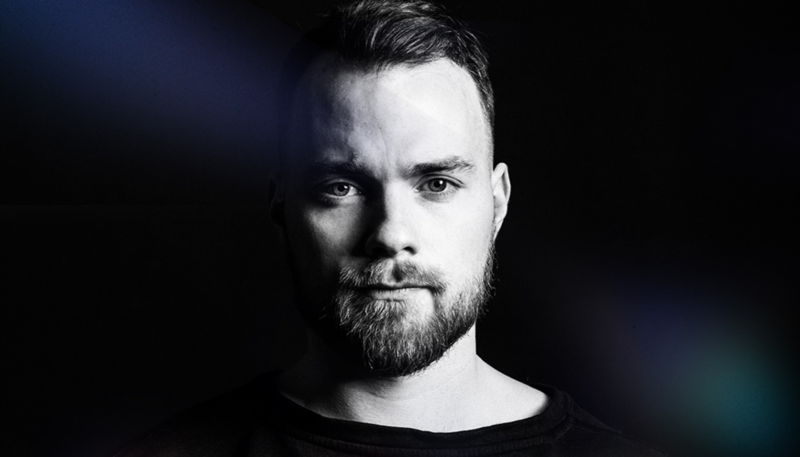 Not only did Ásgeir Trausti Einarsson’s debut win the Icelandic Music Prize, it was a huge commercial success, with one in 10 households in Iceland now owning a copy. Here the Rejkjavik-based singer-songwriter discusses how he approached the creative process on album number two, and shares some of the inspirations behind Afterglow. How much time out did you take between touring your debut and writing this follow-up? I took a few weeks off after touring the first album, but mostly I’ve been recording the second album. And I’ve just been figuring things out about everything, really. We toured for about three years and you get used to having to adjust every day to your environment, but it was very good to go back home to my comfort zone – I really love that. So I wrote the album in Reykjavik, in the suburbs, from the summer of 2015 to September 2016. The success of your debut must have surpassed all your expectations? I didn’t really have any expectations. At that time, just working in a recording studio and having a producer was such a big deal for me. That was the first time I had done that so I was just so happy. I maybe expected a few people from my home town or something to buy the album but that was it. I put too much pressure on myself, spending 10 hours a day for many months just forcing songs out. And now one in 10 people in Iceland own a copy of your debut. Were there any nerves going into writing Afterglow? Yeah. It wasn’t difficult because of how successful it was, it was just difficult because of how much time and energy we spent on that album, not doing anything else really. After three years – doing basically nothing – I was then promoting this album and playing this album and talking about this album, and you lose your identity a little bit. We were away for so long, so when you get back home and you’re supposed to get into your old self that was the weirdest part. Also, I put too much pressure on myself, spending 10 hours a day for many months just forcing songs out. So I had to figure that out and I’m happy I did. Did you also have to adjust to fame back home as well? Maybe in the beginning. You know, I was 20 the year the album came out in Iceland, and I think I did have to adjust to people looking at me all the time. (Laughs) But now I don’t notice it. Maybe they’ve stopped looking, or I’m just so used to it I don’t notice it. So what can fans expect from the new album? Are you able to listen to other people’s music while writing? 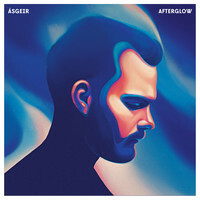 And if so, were there any records that were influential on Afterglow? Yeah, we actually played a lot of Willie Nelson records and the Beck record, Morning Phase. And then the Tame Impala album, Currents and Beyoncé’s Lemonade. And Benjamin Clementine and some electronic artists as well. So yeah, I did not push music away but I pushed radio away. I didn’t want to listen to the radio because it all sounds the same, you know? It numbs you out a little bit when you’re always listening to mainstream radio stuff, and I didn’t want that to interfere or influence this record. As far back as October 2015, you said you had written 15 songs for your second album. How many songs did you write in total? How do you even begin to narrow down from 300? I don’t know. I have no idea. But that’s always been the case – I always throw away 95% of stuff I do. But in this case, I just made so much and then it was about finding one day where I enjoyed all the songs at the same time. (Laughs) Because usually I would be working on the songs, I would really like them, and then just three days later I would be tired of them, and wanting to throw them away. What was the first song that you were sure you would keep? Can you tell us about the lyrical themes on Afterglow? The lyrical themes are a bit similar to the first record – nature, love. My father wrote some of the lyrics, my brother wrote some, and so did Julius [Robertsson], and then my brother translated them [from Icelandic to English]. But I worked on them more than on the first record. I talked more about the lyrics [this time] whereas it used to be a separate process; I would just write the songs and my father would take care of the lyrics. How do you know Julius? Julius and I are from the same area in the north of Iceland. We met when I was seven or something. I was afraid of him. He was always listening to Rammstein and Metallica, and he’s five years older than I am as well. He played guitar and he was in a band, but he wouldn’t let me be in his band because I was just too young. He thought I was not cool enough. (Laughs) And then when I was 20, I called him and asked him to be in a band with me. Can you imagine?! He was working as a bridge-builder at that point. He’s been writing lyrics for a long time as well, and I looked up to him as a lyricist and a songwriter for a long time. So, yeah he wrote five of the lyrics on this album, my dad wrote probably about four or something, and my brother wrote two. Is there anything you’ve learned in the making of this album, as a person or as a musician? Yes, I think both. Just how to deal with certain situations. I used to get in the habit of blaming people for something that was just something that I had to deal with. I think I learned to deal with that through this album, and also got to know myself a little bit more as a musician. And I learned that you can’t force good ideas; it has to be this kind-of flow.